The BMW G 310 R is the essence of riding pleasure. It was built for pulsing cities and those who simply love riding motorcycles. It is maneuverable, easy to handle and sporty at the same time. Regardless of your height, you’ll immediately feel at home on the BMW G 310 R. The bike is lightweight, yet a real powerhouse with its 313 cc engine. Get to work, the next hot spot or out of the city safely and reliably on the G 310 R. Premium quality, excellent workmanship and extraordinary technology ensure intense riding pleasure. 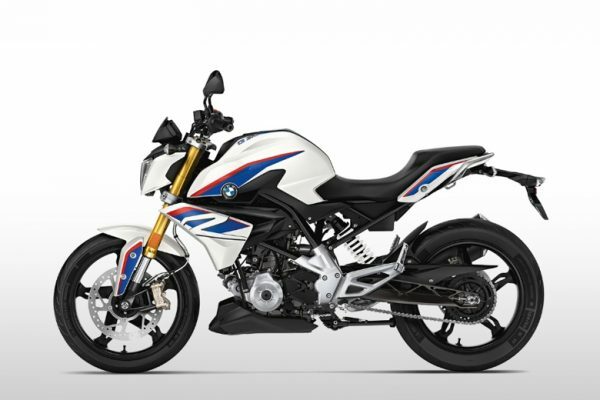 Good looks unmistakably run in the family – the G 310 R clearly carries the S 1000 R genes. 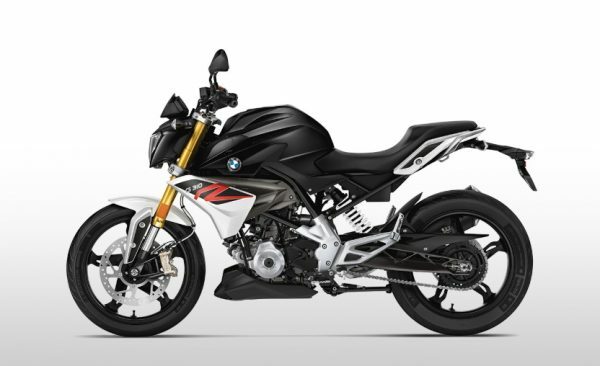 The sporty headlight fairing with powerful headlight, dynamic fuel tank trim and typical roadster proportions transform it into an eye-catcher on the street. The G 310 R is light and strong. The sporty seat emphasizes the roadster dynamic and gives the bike an unmistakable motorsport look. The gold anodized fork and brake calipers emphasize the workmanship of the machine. Another highlight is the detailed aluminum swing arm. The design ensures lightness and the struts offer stability. Wide tires grip to the road – providing confident riding pleasure. 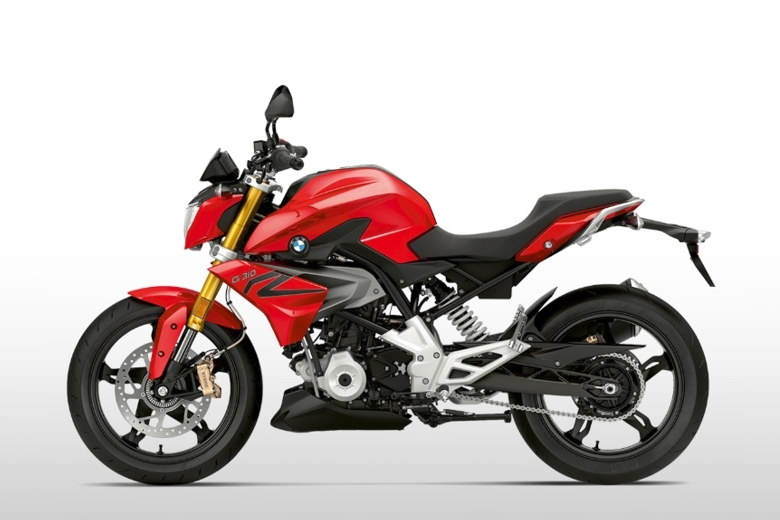 This BMW G 310 R is the ever stimulating Racing Red. The bike is also available in two other exciting color options: Cosmic Black and Pearl White Metallic Motorsport. The G 310 R doesn’t take second place. The single-cylinder, four-stroke 313 cc engine and range of features help to ensure this. The tilt of the cylinder to the rear and the cylinder head that has been rotated 180° lowers the center of gravity and shifts it in the direction of the front wheel. 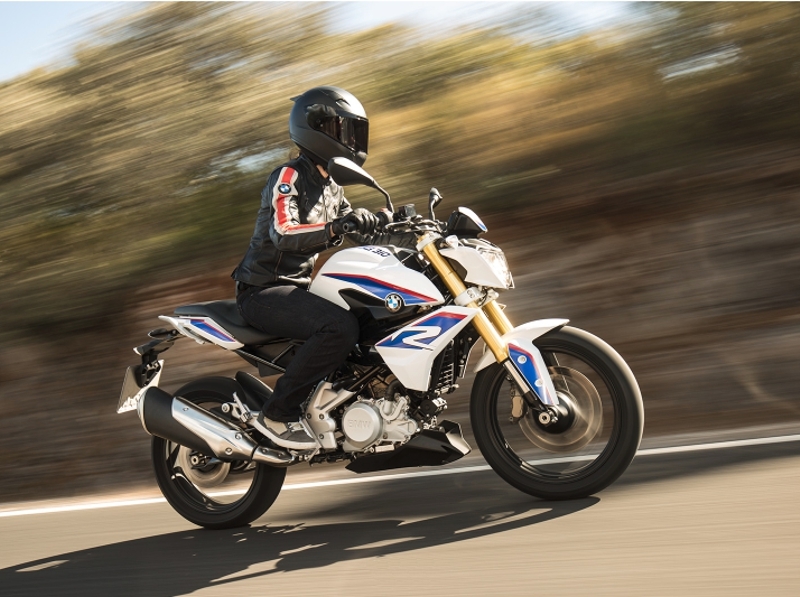 Because of this, the G 310 R is more agile and easier to control. The low and longer swing arm ensures even more stability, without unnecessarily increasing the wheelbase. 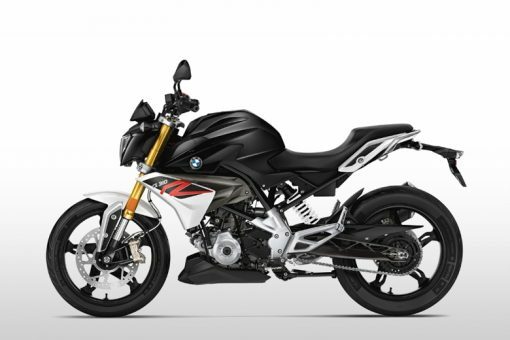 Ride in confidence with standard ABS, a standard feature on all BMW motorcycles since 2013. Good looks, powerful drive and less than 350 lbs. 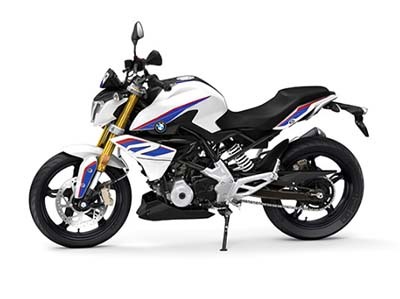 fully fueled, with the G 310 R you can simply enjoy motorcycling. EVERYONE WANTS TO RIDE IT. Ride stress-free and relaxed through the streets with the G 310 R. Even in the big-city hustle and bustle, you’ll ride with confidence thanks to the successful layout of all of the control elements. The ergonomic layout of the handlebars, footrest and control elements ensure a superb riding sensation. The G 310 R offers the right seat for all riders, providing stability. On any surface, the geometry and spring and damper tuning make it an agile city-hopper. Whether riding in heavy city traffic, commuting to work or just getting out of the city on the weekend, with the G 310 R you’ll want to ride on! Seat Heights for Every Body Size. The G 310 R offers the right seat for all riders, ensuring your stability on the bike. Alongside the standard seat of just 30.9″, two other heights are available as additional options: a lower seat at 30.3″, and a higher seat at 31.5″. Powerful Brake Systems and Standard ABS. 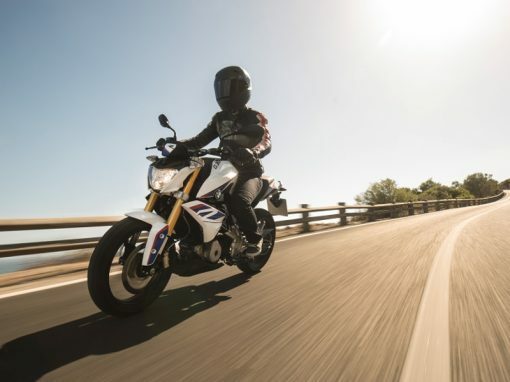 On the G 310 R, standard ABS ensures safe braking maneuvers on every journey.